If you are Pakistani, you are familiar with Suzuki Mehran Car. This Car have been one of the Most Sold Car Models in Pakistan as it was cheaper than all other Cars. Mehran is a Car for a smart Middle Class Family, so obviously the majority of families who cannot afford the expensive petrol usage of Nice Looking Cars, prefer Mehran over them. The Maintenance of Suzuki Mehran is a very comfortable responsibility, so Middle Class Families are attracted towards buying this Car to feel the benefits of traveling facility at a reasonable cost. Mehran is still the cheapest Car in Pakistan, However there is no improvement in its Model for almost a decade. On the other hand, its price is rising like a fire. So it has developed a confusion in the minds of buyers that does this Car deserves this much rise in price ? So we have enlisted the Positive & Negative aspects of Suzuki Mehran to help you out in this decision making process. This is very important. The price of Mehran Car is not Cheap anymore, but still its the lowest price of a car, as compared to others in Pakistan. Its price is ranging from 6 Lac to 7 Lac right now, but still no other Car is available in this range. So this is the most prominent factor in the success of Suzuki Mehran. One of the attractive benefits of Mehran Car is that its maintenance is extremely affordable. Infact if you compare its maintenance expenditure with a Motorbike like CD-125 , you will find it same. The side mirrors of Mehran are available in as low as PKR 80. The fuel usage of Mehran is very reasonable as compared to its competitors. All Mehran drivers claims that they easily drive for several days with even low fuel level. So you can imagine that for all the people whose monthly income is less than 30 thousand, Mehran has very affordable expenses. All spare parts of Mehran are easily available all over Pakistan at low costs. Another benefit is that all Mechanics are familiar with this Old Fellow and they easily get it fixed with a little effort. So if you own a Mehran, your life is obviously easy in terms of car care. The lifespan of this generation of cars all over the world was between 1979 to 1983, however Mehran was introduced in Pakistan in 1989, and its still available in 2016 as a brand new Car. It means that we are dragging the oldest technology which is far left by the rest of the world. 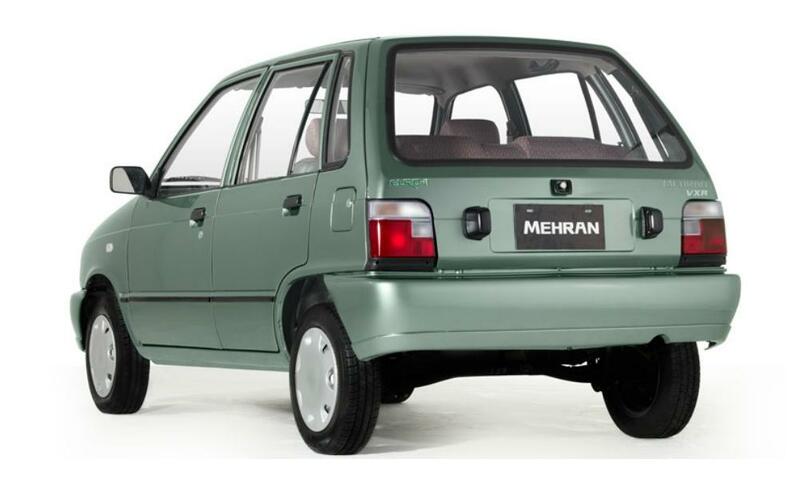 It is seriously funny that Mehran is still under production as “New Car” in Pakistan. And it may keep getting produced for many coming years. In 1891, Mehran was available in 90,000 PKR. It was the cheapest Car at that time also, but with every passing year, this Car’s price kept rising while its technology and feature are still the same. This is not extremely unfair that its price has raised upto 700% of the Original price, while its built is still a low quality product with 0% improvement during all these years. Its like keeping the OLd traditional telephone in the Modern Era of smart phones & 4G. Suzuki Maruti 800 is an Indian version of Mehran which got phased out in 2013. It was available in just 2,78,000 Indian rupees (PKR 4,49,000/-) , while Mehran costs 7,00,000/-. This is Unfair. In this age of technology, where all Cars have latest features to improve the driving experience, Mehran lacks all such feature and is far behind the current trends. 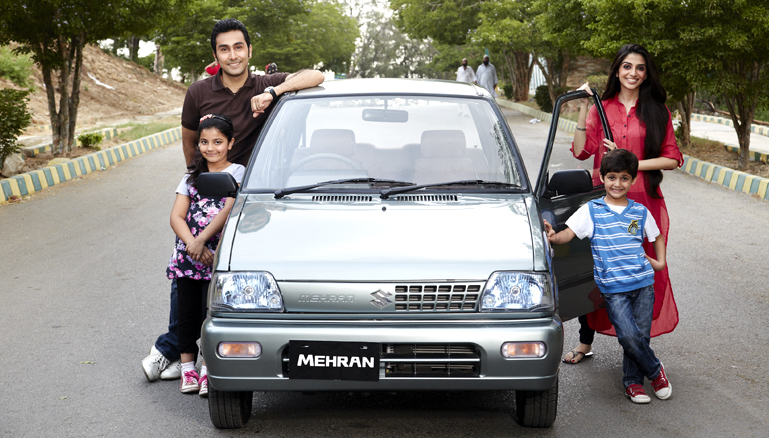 All companies have progressed their Car Models while Suzuki Mehran has not changed at all. Mehran has a very poor body. It is lacking all safety measures like air-bags etc. So it has zero tolerance against accidents. 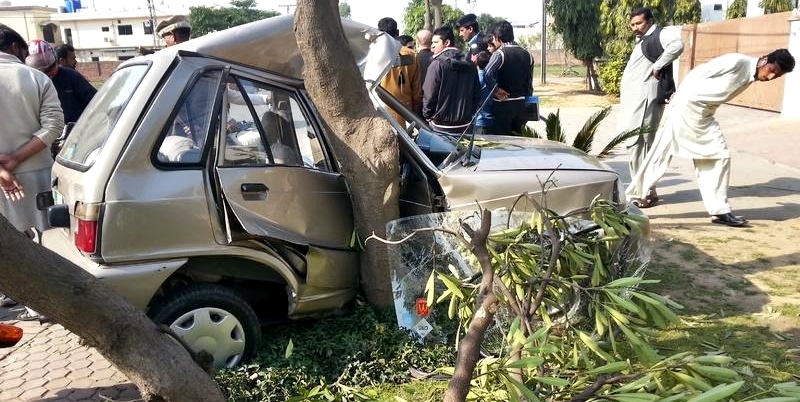 If a Mehran Car gets hit in some accident, all its body will be ruined like some crumpled paper. After this whole discussion, the decision is yours. If you really need a car and are short in cash, then Mehran is your best friend. However if you seek quality and can afford a little more price, then you should not buy Mehran at all.